"Dell and its customers are collaborating on the creation of content, media and marketing – without content, media or marketing companies. Advertising is no one’s first choice as the basis of a relationship … clearly, the direct relationship between a customer and a company is preferable. 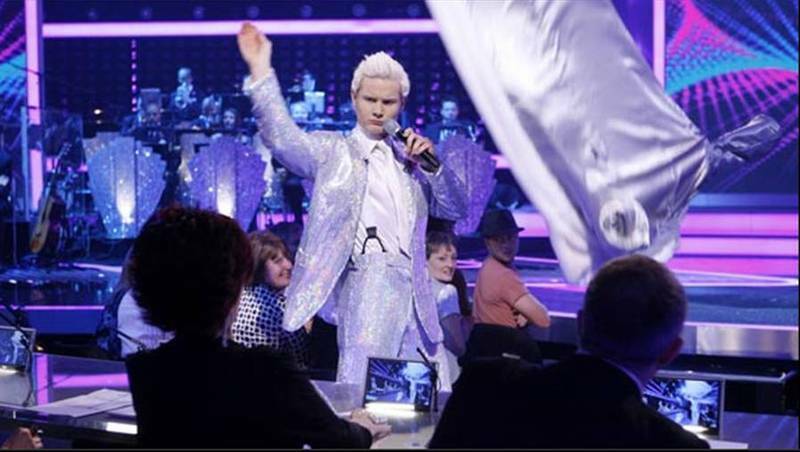 but that direct connection cuts out the middlemen – that is the media." now then, I’d be the last person to dispute the principle that marketers should invest in actively engaging with their customers, but whilst this may be the ideal for all brands its just not terribly feasible for many, if not most! secondly, if we all engaged ‘hands-on’ with all the brands we ever consumed there’d be little time for us to do anything else. we may very well co-create with and contribute to a company, but it’s only ever with a few of the brands that sit at the top of our trees. there are hundreds of other brands with which we have ‘hands-off’ relationships; relationships that must be nurtured and evolve without the benefit of active hands-on consumer engagement. 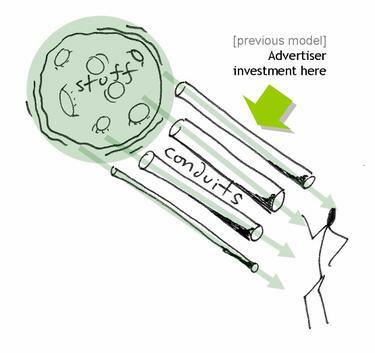 consumers accessed all that stuff thru conduits called media channels – so advertisers invested in the media channels that were most able to deliver either lots of – or the most relevant – consumers at the end of them. 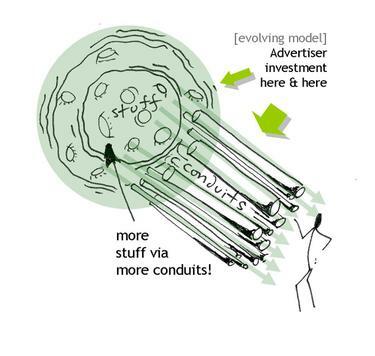 the bigger the conduit, or the fewer conduits reaching a consumer, the more the conduits were worth. advertiser money rode the back of this content and attached their brands to it. nowadays essentially three things have changed… firstly, there’s a lot more conduits – media fragmentation. secondly, there’s a load more stuff – mainly because of the increase in conduits, the largest of which has been the internet – a global library of stuff ready and waiting on demand. PVRs, Google (thought I’d get thru a post without mentioning them but no luck! ), Podcasting – all examples not of consumers abandoning the media conduits, but of consumers controlling them – accessing and organising them to their own ends. why? 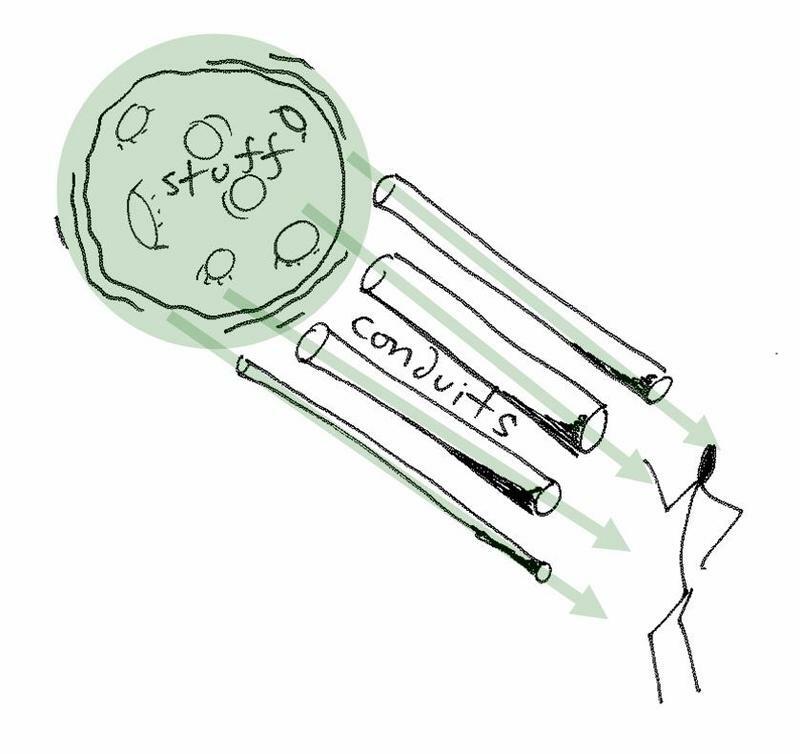 because of the explosion of more stuff thru more conduits. 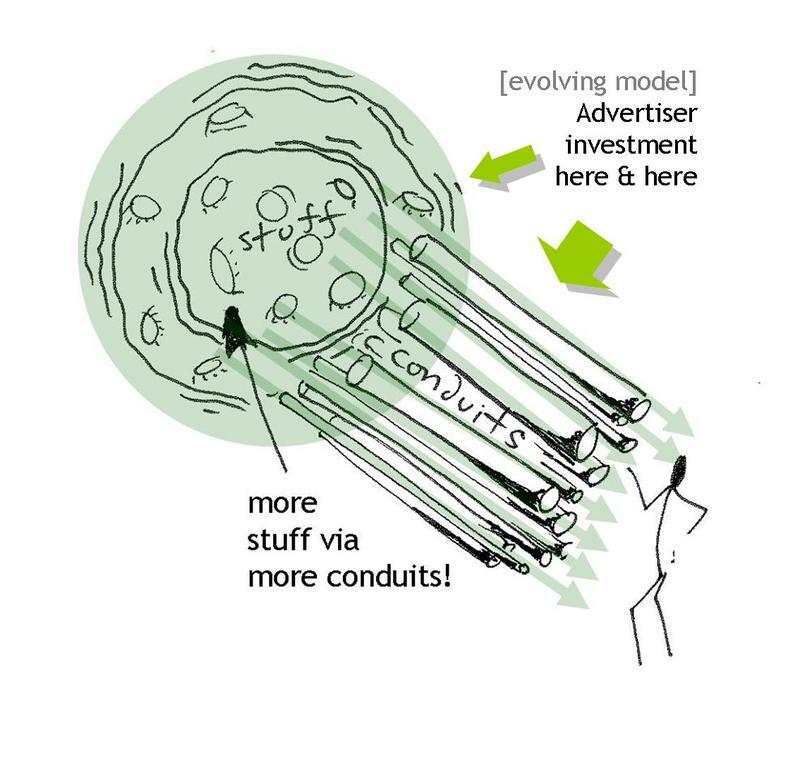 more stuff via more conduits >>> more control over content >>> the inevitable result of which is that advertisers are looking to get closer to the stuff at the end. and this is where it’s getting fun! a former associate who works at a London ad agency was explaining yesterday over lunch that one of the key strands of a campaign they’re planning won’t be a TV ad but a TV series. they’re pitching a 22 episode season in order to tell the brand story they wish to convey. 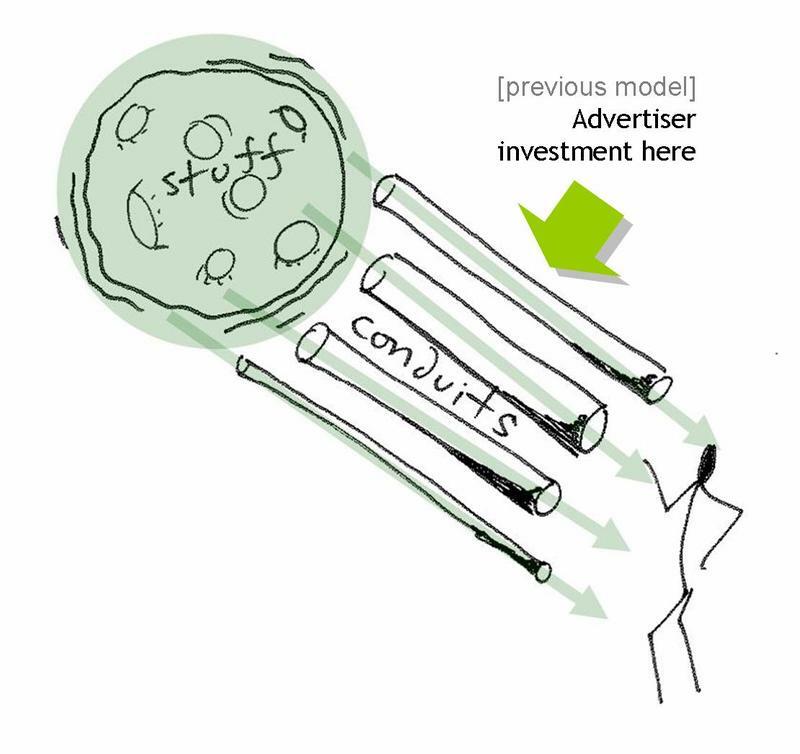 investment still goes into the media model – it’s just into the ‘stuff’ bit as well as the ‘conduit’ stuff. content still gets made, advertisers still spend to attach themselves to the stuff, and consumers still get great content that other people (brands) pay to make. when viewed in this way the conventional ad takes on a whole new meaning. it’s a little bit of stuff in itself. how can we as agencies help our clients make more and better use of these little content canapes? how can they sit alongside their meat and two veg season-long siblings that we’re increasingly looking to create? but most importantly how can we make them stand out? Emily Bell made reference to this in her MediaGuardian column today. it won’t be enough to create stuff. it’s got to be the best of stuff. but we’re fortunate on two fronts; one, London agencies are the best in the world at creating great content – they’ve just got to change their scope from 30" to 30 mins! two, the production houses are waiting for our ideas. Lorraine Heggessey, former controller of BBC1 and chief exec of talkbackThames in today’s Independent media section explains that "as she grows the company, [she] is constantly searching for new formats that have the potential for export". that sounds like a gauntlet being laid down. I hope it is, and I hope more advertisers and agencies have the gumption to pick it up and run with it! I think what you’ve said is interesting and I think the biggest problem in all of this is that ad agencies, media agencies, even totally cool advertisers with a zeal for making attractive content, can’t do it on their own. they haven’t the time, the resource or, let’s face it, the expertise. a 60″ gorilla ad doesn’t make ‘Glass and a Half Productions’ sustainable (or believable for that matter), even if they come up with another 5 ads in similar vein. and while the industry as a whole will talk a good game about this, not much is going to be done about this until all of the above work closer with the conduits- well I would say that, wouldn’t I!